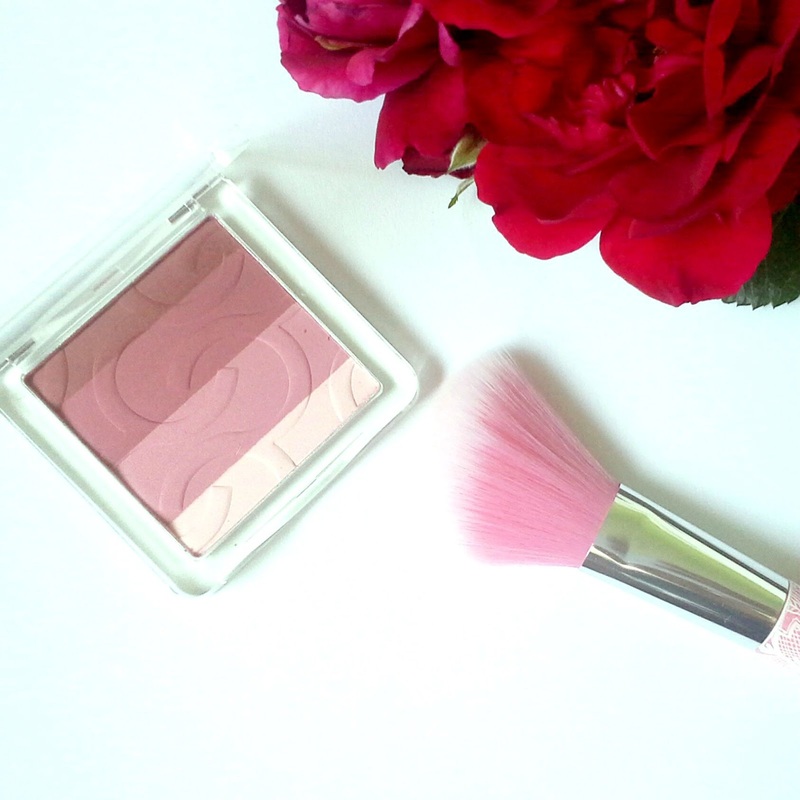 I had this blush (La-Lavender) from Catrice (and some others) on my wishlist. I also needed a new blush brush, so I bought the Essence one. So far I don't like it so much. I repurchased SunDance Schutz & Bräune Sonnenmilch (review here), but in SPF 30 and Afrodita face sunscreen for my trips to the seaside. 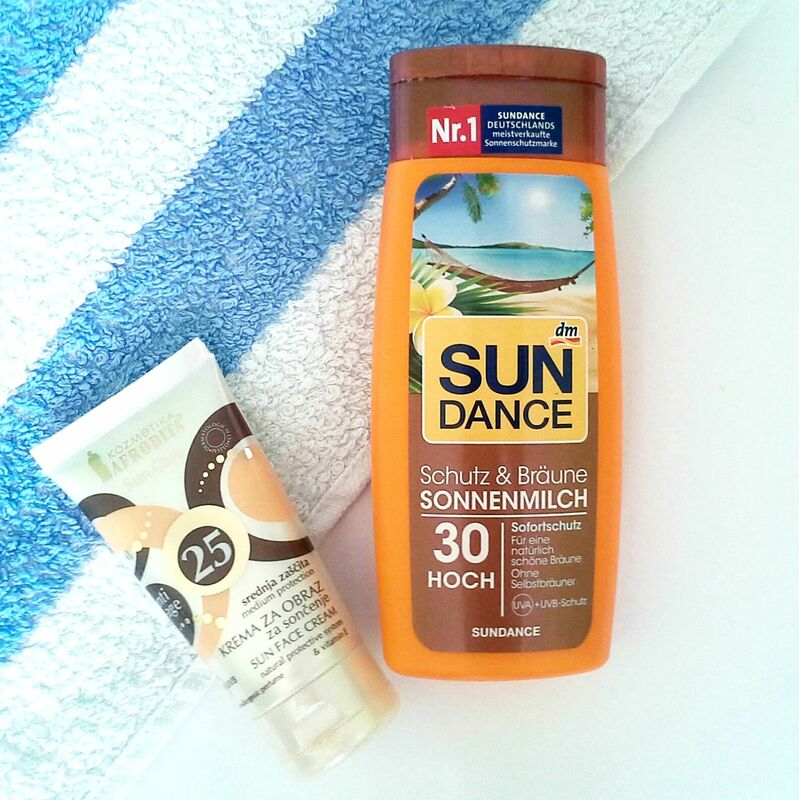 When I was on the seaside I went to DM and bought Balea Aqua Tuchmaske, because my skin was feeling very dry and tired from the sun. This mask feels amazing on the skin! I already repurchased it. Balea Hand & Nagel Balsam is a repurchase again. I don't like it so much, but I am too lazy to look for a better one. 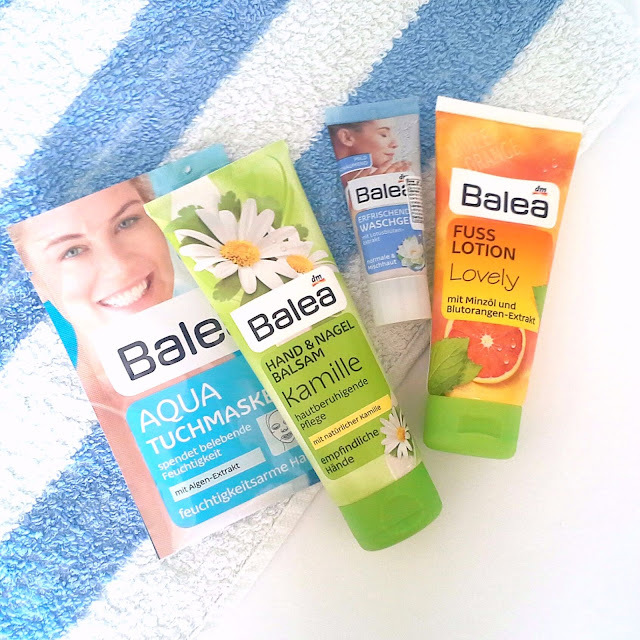 Balea Erfrischendes Washgel - I use this every day in my skincare routine, I bought this sample size for traveling. Last thing that I got in DM was a Fuss Lotion, it has a nice smell (like some tipe of candy, but I can't remember which one). 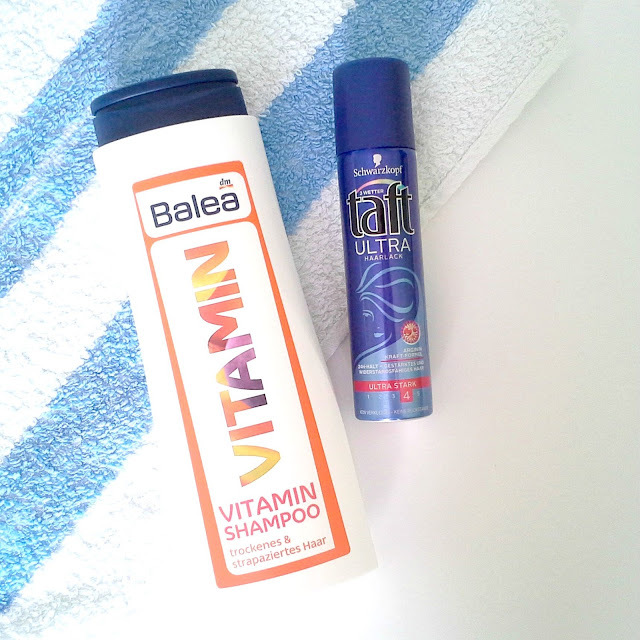 I also bought Balea Vitamin Shampoo (review here) and mini hairspray by Schwarzkopf for traveling. Of course, I had to get some nail polishes: Catrice Love Affair In Bel Air and Its A Very Berry Bash. 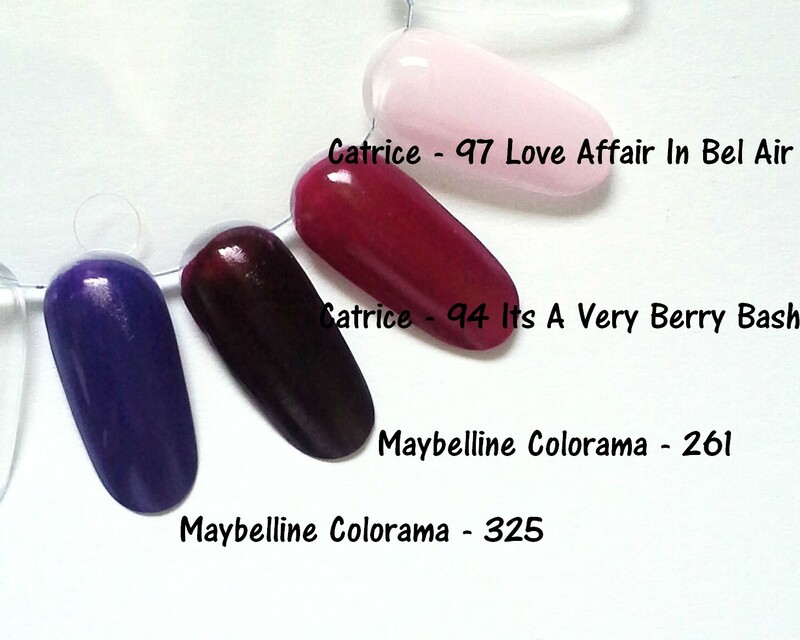 And Maybelline Colorama in 261 and 325. You can see the swatches bellow. I needed a nail file, but I didn't want to give a lot of money for them, so I ordered mini ones from eBay for not even a dollar. I also got some Ebelin tweezers for 1,99€. 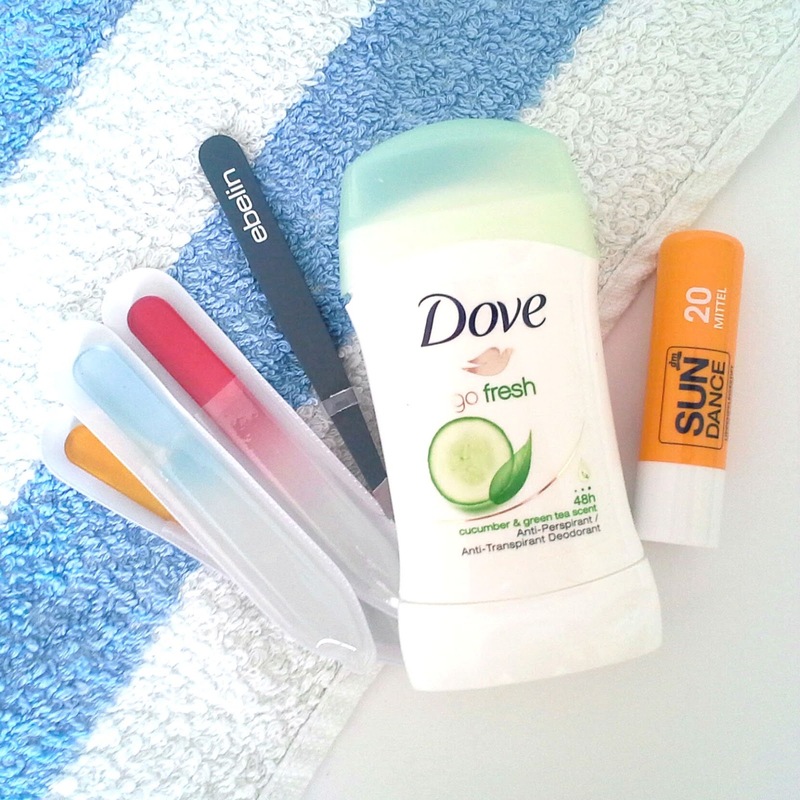 When I went to the seaside I got Sundance lip balm because I forgot to bring my favourite one. Would you like a review of something? Me pa glede tah pilic zanima kake so?